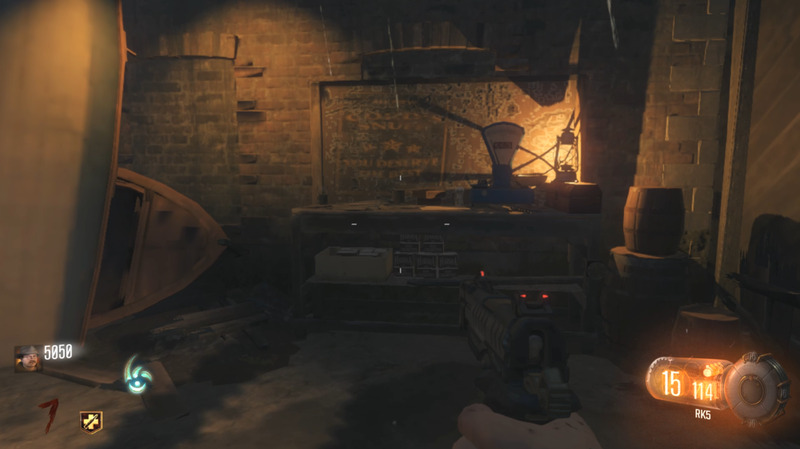 The Zombie Shield makes its third appearance in Origins, and it has never looked so good. Instead of a car door or cell bars, it is made of steel plates and bullet proof glass. 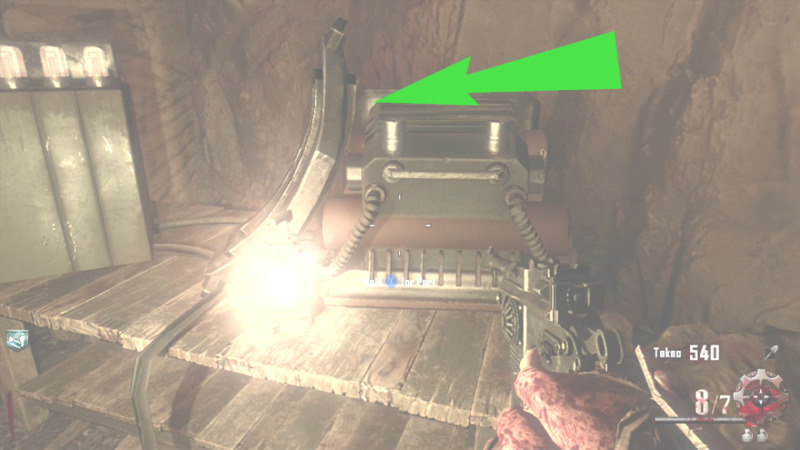 It still functions the same, and is a necessary piece of equipment in a map with so many tight spots. It consists of three parts, which are located in three separate areas of the map. Each part has three possible locations, but the part itself is always found in the same general area. 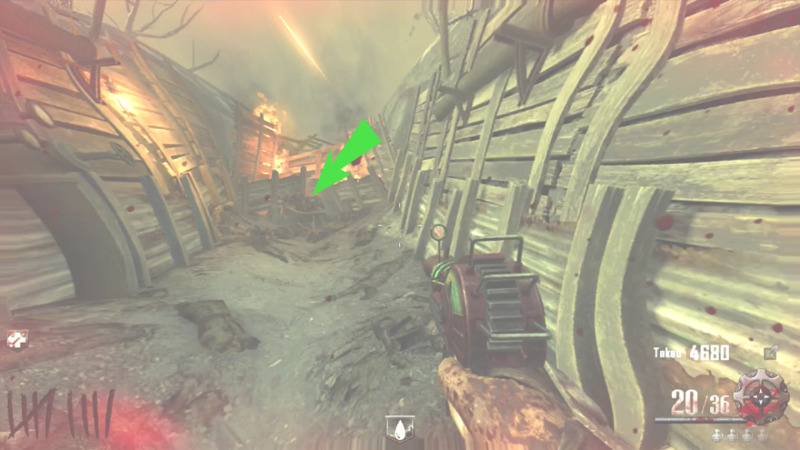 Due to the location of the parts, three areas will need to be opened in order to construct the Zombie Shield. The Zombie Shield is a large metal plate with a handle and window. 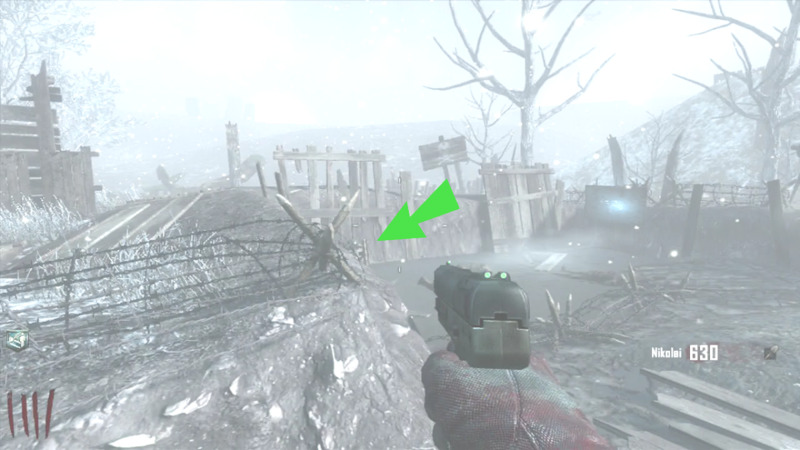 It covers most of the players back, preventing damage from zombies behind you. Instead of inflicting damage to the player, the shield will absorb the damage and eventually break. It is worn as back protection most of the time. However, players can also use it as a Melee Weapon. A a player can press up on their D-Pad in order to hold the shield in front of them. 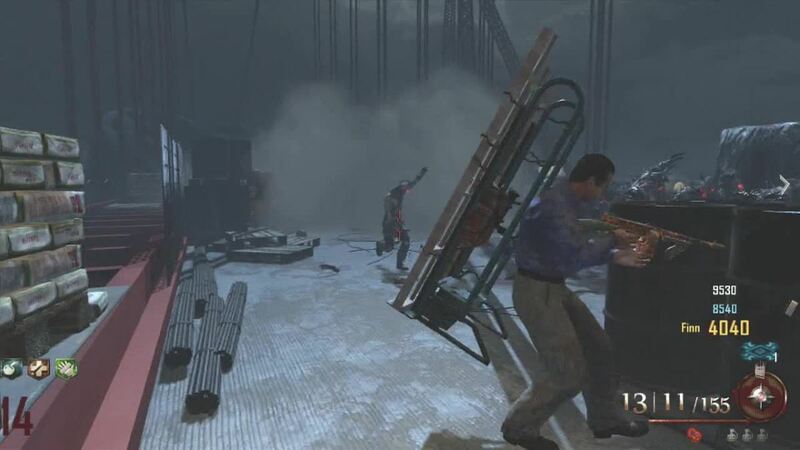 This will leave your back exposed, but allow you to strike zombies by pressing the Melee button. The shield takes two hands to operator, so the player will put their gun away when they pick up the shield. The shield is made up of three parts. The Base, window, and handle. The first part looks like a door window that is surrounded by a metal frame. For simplicity, I will call this piece the window. It is always found in the area between Generator Station 1 and Generator Station 3. Two of the parts are found in the path between these stations, while the other piece if found in the Fire Mine, which is also in this area. The first location is close to Generator Station 3. Take the ramp by Speed Cola, the part is sitting beside a crate at the bottom of the ramp. The second location is in the Fire Mine. Go to the bottom of the fire mine and look at the table on the right. It is sitting beside equipment. 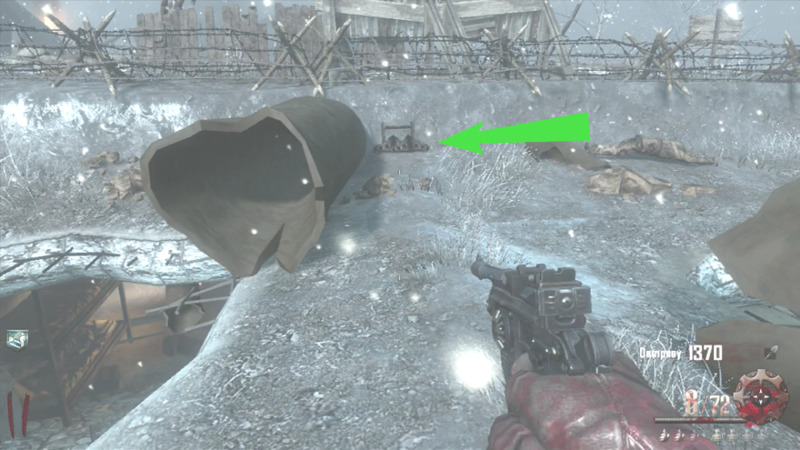 If it is not in either of those locations, then it will be inside the tunnel. When you leave Generator Station 1, stay to the right. It is sitting inside a wheelbarrow next to a table. 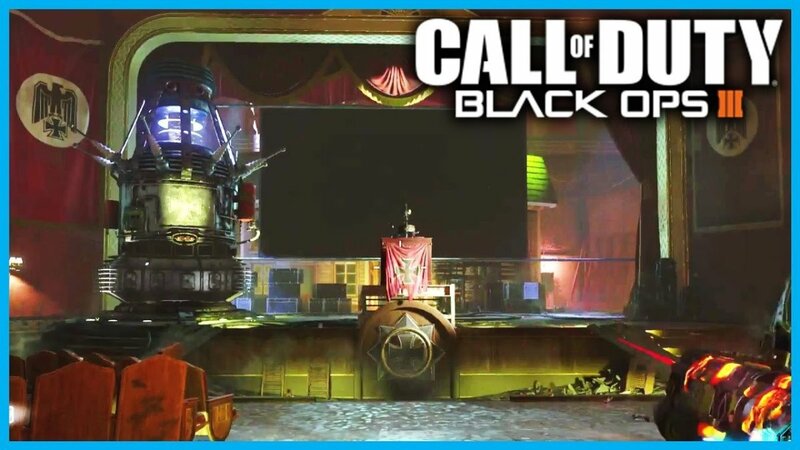 The second part is the large metal slab which makes up the bulk of the Zombie Shield. 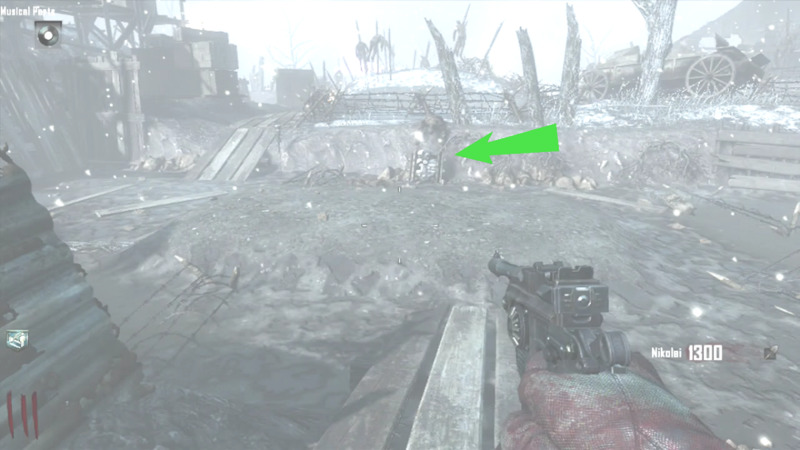 It can be found in 3 different areas inside No Mans Land. It is sitting out in the open and easy to spot. I refer to this piece as the base. 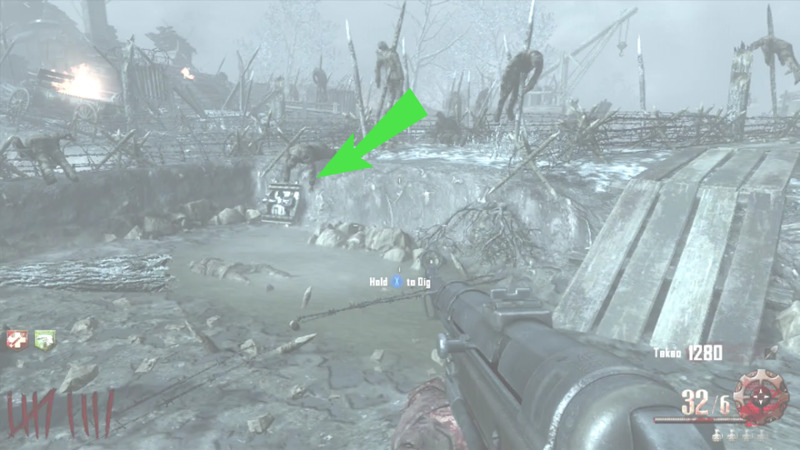 The first possible location for the Base is sitting in the corner of a large puddle. It can be found in No Man's Land near the flaming cart, near the Excavation Site. The second possible location is in another large puddle. This time it is close to Generator Station 4. 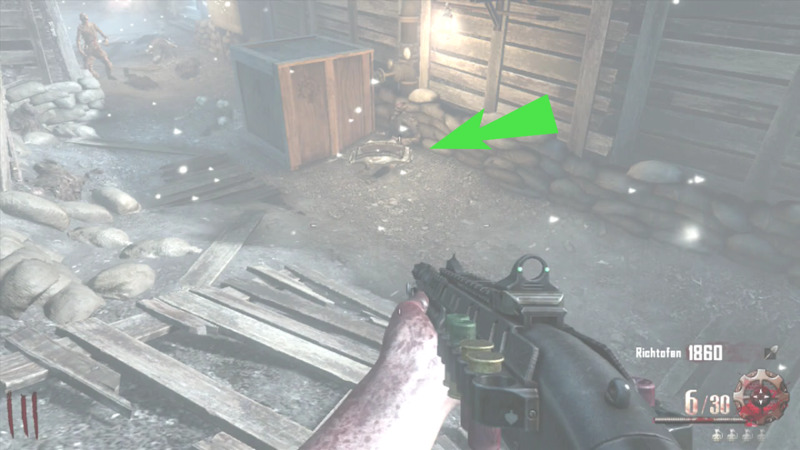 It is in the area that has the MP5 on the wall. The third location is between the Excavation Site and Generator Station 4. It is leaning against a dirt bank. The third and final part looks like two metal triangles with a handle. I will refer to this part as the handle. It is found the the area between Generator Station 1 and Generator Station 2. Two of the parts are found in the path, while the second is found on top of the Tank Station. The first possible handle location is in the enclosed section of the path outside of Generator Station 1. It is sitting on the ground next to the wheel barrel. 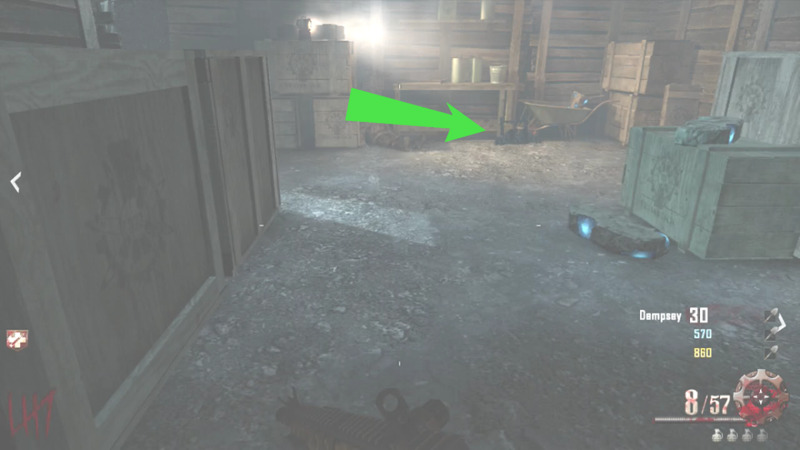 The second possible handle location is past Generator Station 2 and the entrance to the Workshop. It is at the end of a dead end, sitting in a wheel barrel. The third possible handle location is on top of the Tank Station roof. It is laying on the ground against the edge. 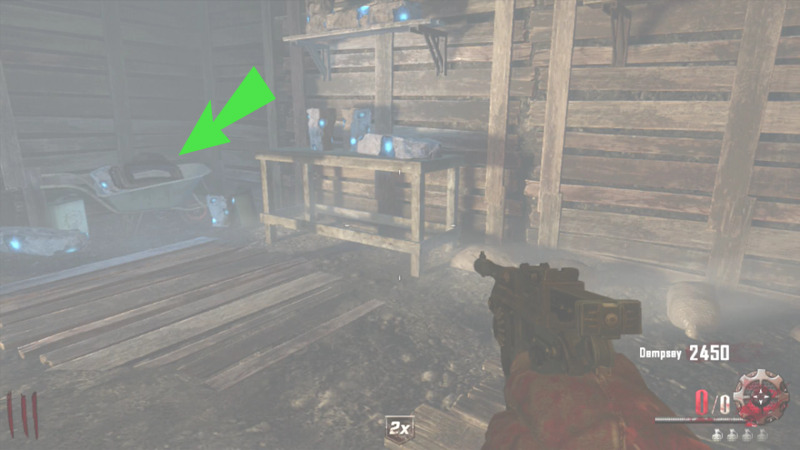 The Zombie Shield and the Maxis Drone can be equipped at the same time by the same player. 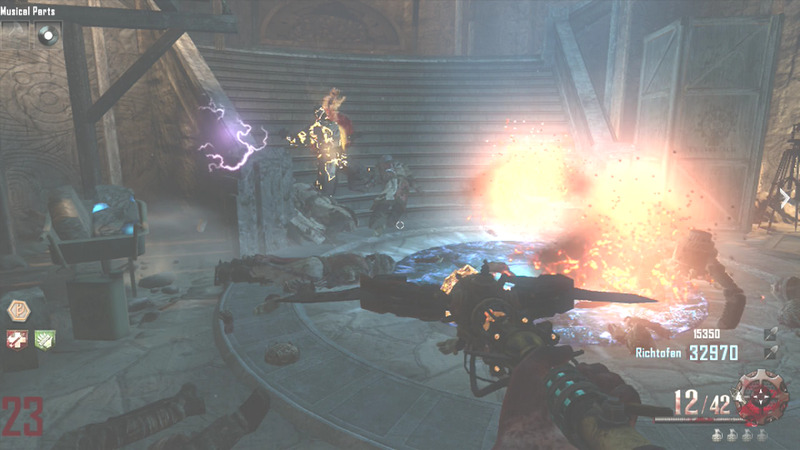 The Zombie Shield is the only Buildable that is available in three separate maps. 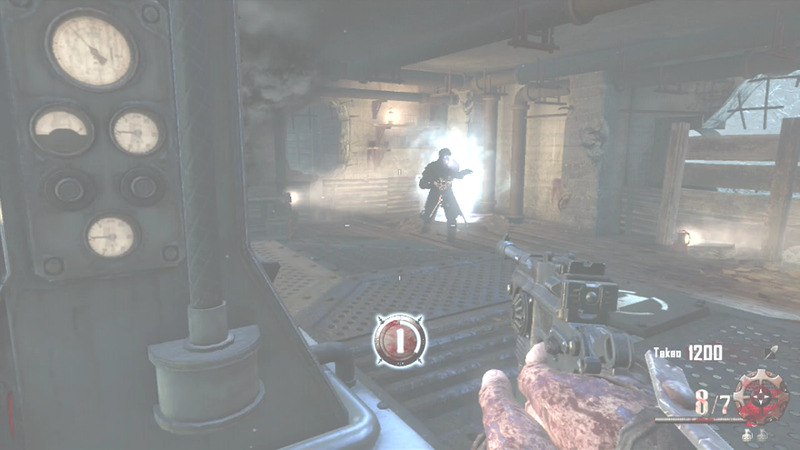 The Tranzit Zombie Shield only needs two parts. 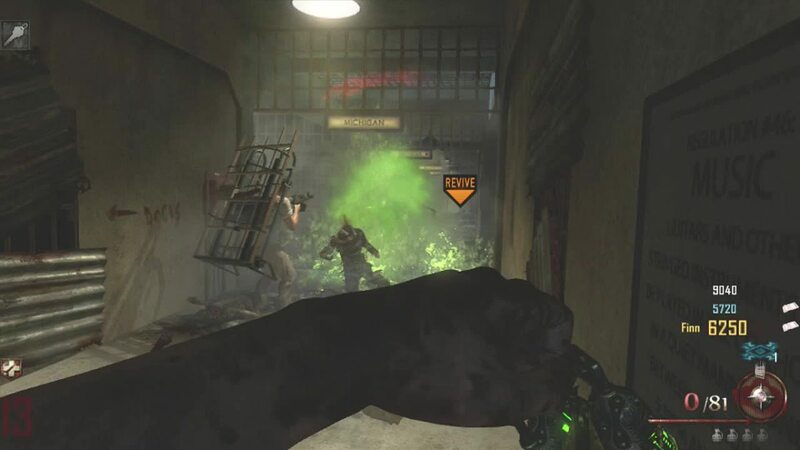 The Mob of The Dead Zombie Shield also needs three parts, but they are different parts. This is the only Zombie Shield that does not use a dolly. 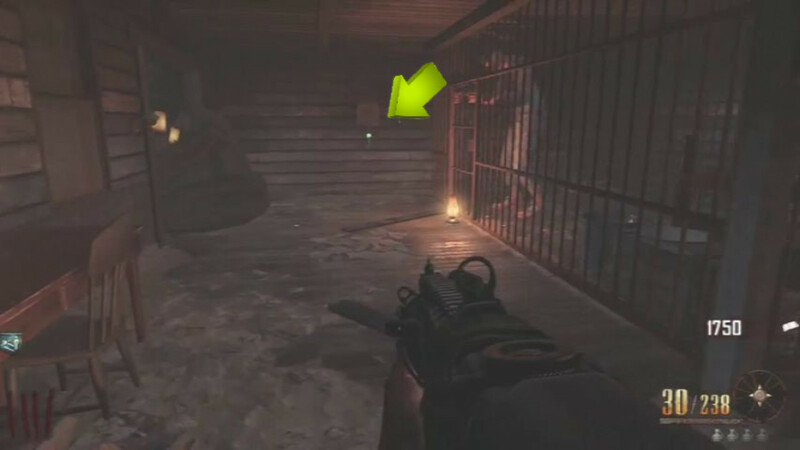 The Zombie Shield can be placed on the ground to make a barrier. 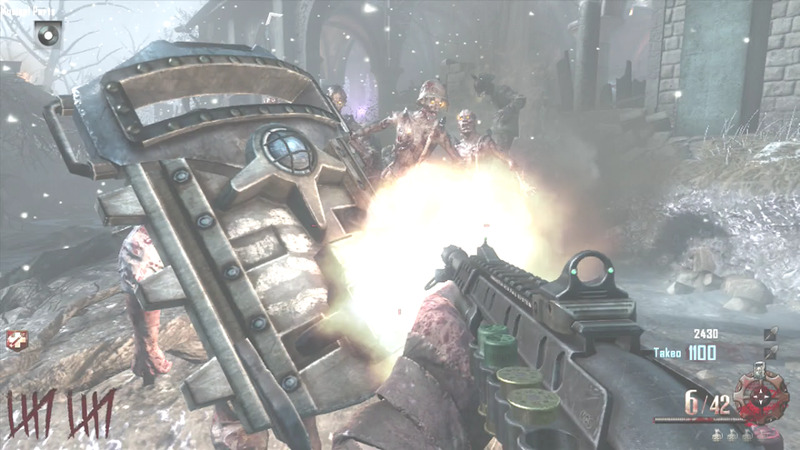 The Zombie Shield is the only piece of equipment that can be used as armor.